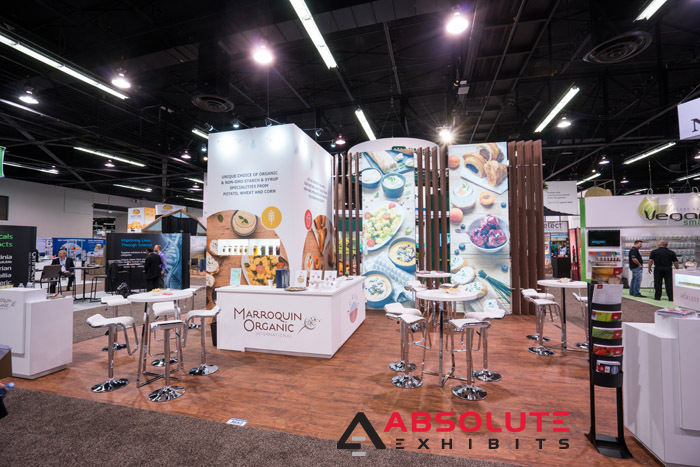 Top Trade Show Display Trends for 2019 | Absolute Exhibits, Inc.
Are you only engaging one of people’s senses with your trade show display? Try more than just the visual and add multisensory experiences. This could include hands on demonstration areas, touch screens, music, the aroma of food or coffee, and more. 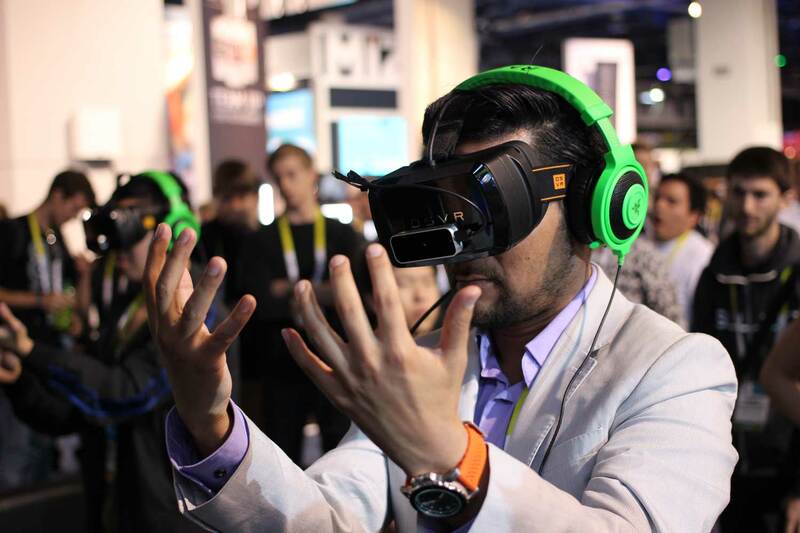 Multisensory experiences have grown significantly in the trade show industry because people are bombarded with a variety of images at trade shows. They tend to tune things out unless there’s something extra to capture their attention. This is where multisensory experiences come in- the aroma of coffee wafting across the show floor, the ability to touch screens to learn more about software, the live demonstrations pull people into your trade show display. By tapping into people’s other senses, you set yourself apart. It’s no longer just enough to show up with a new product and do a press release to generate buzz around it. Instead, it’s all about brand activations at your trade show display. A brand activation is different than simply showing a new product because it’s interactive. 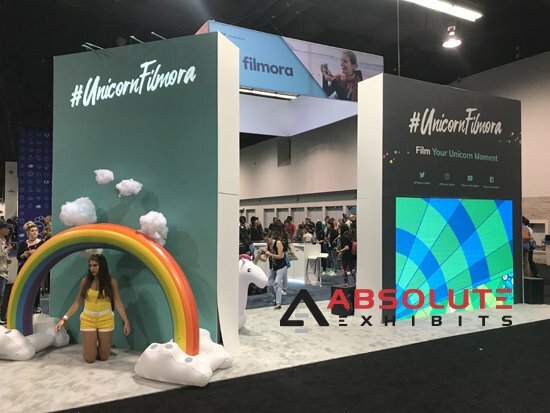 Often, when hosting a brand activation in a trade show display, there’s an immersive element to the brand and a sense of creative and fun elements associated with it. Consider how Filmora invited their fans and users to pose for their unicorn moment and then use their video software to edit those photos. These were then showed live in their trade show display to add a sense of wonder and fun to their product. Increasingly, brands are opting for more unique lighting schemes in their trade show display. The reason why is light attracts people’s eyes and it can illuminate products, graphics, or unique elements in interesting ways. Light can also be used to tell a story in your trade show display with unique illuminations that draw more attendees to your display. 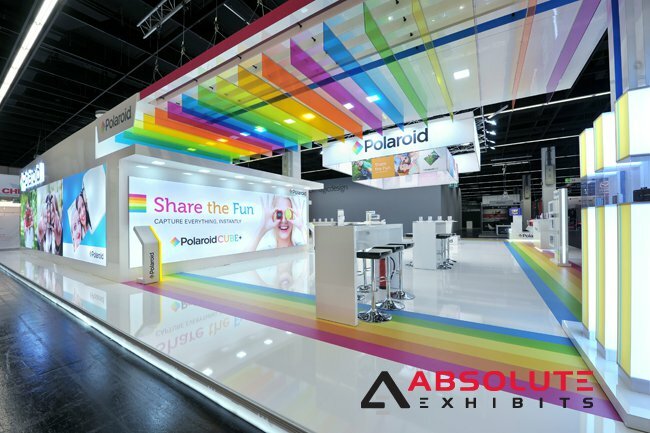 Consider how light could be used in overhead bridges, illuminating pops of color, demonstration areas, and making your trade show display shine on the trade show floor. Over the years, backlit fabric has grown in popularity. It typically adds color to any custom trade show display, and makes a display look sophisticated. Backlit fabric highlights the branding and graphics so visitors are interested in coming to the display. Backlit fabric is cheaper as well because it’s lighter, so the drayage is much cheaper. As a result, brands are turning to this lightweight and attractive solution more and more. 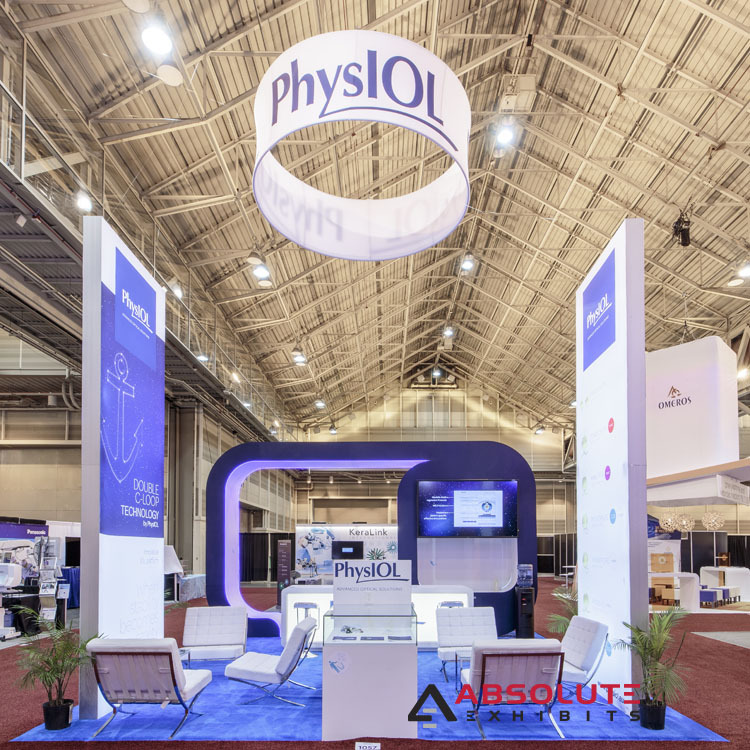 If you’re considering altering or upgrading your trade show display in 2019, think about the items we mentioned above. They could make your display much more popular on the trade show floor the next time you exhibit!